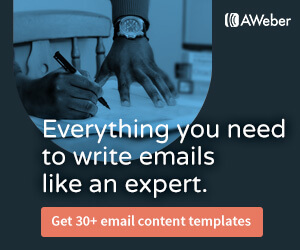 AWeber is the original email automation platform and continues to provide innovative automation capabilities to our customers. I find Aweber beats others when in comes to landing my emails in the inbox. Also they love affiliate marketers. ​I've been building out my new funnel inside of ClickFunnels, and after doing it, the idea of using anything else is daunting to me. I would have had to have membership software, landing pages, order forms and still figure out how to tie them all together. I'll never have to go through that again because of Click Funnels!" ​If you want to build your business faster and enjoy the amazing benefits that come from having a large mailing list, this is the plugin that will make it happen for you.